Great... but bring on the mkII!!!! I love the LA-3a, both in hardware and software form. 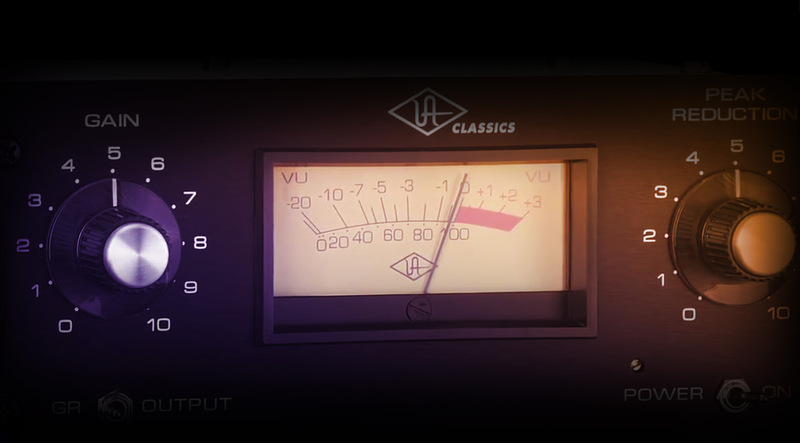 My only real gripe with the UA software is the teeny, tiny GUI and that I can't help but wish for a MKII version since all of the other compressors that have been updated are so much better than the original versions. Surely it misses what MKII versions now can do, making the sound creamier, but just for compression you got the job done fast with simple operation; you learn quickly how to work with it and it's low DSP usage make you use it a lot across your projects.. I had the opportunity to A/B this compressor plug against many others and found this to be the best in terms of overall apparent loudness and forwardness in the mix. I set all of the compressors to operate to the same peak level, this was the one that stood out as being the best sounding within the parameters I had setup on this vocal track. Gets a 4 out of 5 only because I wish the display was a touch larger. The price is unbeatable for what you get with this plug-in, though. Amazing job UA!!!!! Great model of a legend! Very impressive the way I can use 24 REAL LA3's at the same time! This little Compressor is a great piece of gear. I know a lot of people love it on drums but it actually sounds good on about anything. I prefer it on vocals along with the Maag EQ4 it brings life into them. Great plugin! One of my favorite compressors ever, and this lives up to the classic la3a sound! Does a great job with almost anything you throw it on! Highly recommend this one. You can really make sounds pop out of the mix. I found it great to control my eurorack synths when the sound is totally glitching out. brought out the room ambiance and made the drum sound huge. very cool. very pleased with this one. Great work UA. never fail to impress. If you had to pick one compressor which gives you maximum gain,ultra fast attach & release,enhances anything it touches with an outstanding sound which doesn't take away the character of the original sound & is dead easy to use….this would be it! The LA-3A…the sound of an LA-2A & 1176 in an easy to use box! If I could only have the one compressor…this would be it. Thankfully due to UA's unbelievable armory of classic compressors we are not confined to one, or two great compressors amongst other 'good' ones…like the old days. Like others's have said…if you have the 1176,LA-2A..you have to add this,no question! This was the last plug I purchaced thinking i had everything covered. To my surprise it turn out being my fave on snare , percussion, many other instruments. Maybe this should of been my first. This comp, Rocks!! Maybe I purchased this plug-in a little late. It sounds cool on everything. It feels the gap bethween LA-2A and 1176. And it is also so light on dsp load making you able to run so many instances. My recommandation is do not let the price and the date of release fool you. I did that mistake and resisted buying it for so long. Now I use it on too many sources and I'm enjoying it even more than FAIRCHILD or even 33609 and SSL G-COMP. It won't let you down. I'm really planning to buy the hardware version. This little beaut. is a must have. Makes tracks come alive in the mix. One of the first plug ins I always go to. LA-3A its really a great piece of gear. It does exactly what it is supposed to do and from my point of view that is what great means and above that it is very easy to use. It's in all of my productions. Is true I did not made a comparison test with the LA-3A hardware because I don't own one, but I really don't think that is so important after all. Great job guys! I had a real problem compressing a greek instrument called bouzouki.The character of Teletronix® LA-3A Classic Audio Leveler Plug-In helped me solve that.Thanks UA!!! This is a great workhorse compressor that you can use on anything. I fell in love with the LA2A and am so stoked to have the LA3A in the tool box now. They are both part of my "go to" team of compression. So simple, yet so radically effective, beautiful with unspoling character. If you love the LA2A, then you need this one too. Before anything else. I've overlooked this plugin for a while, then i wanted to try it, compare it with the other LA3A plugin from CLA, wow, this was a beast!!! !...very different from the other, more juice on it, on snare brings the sustain in an awesome way, it's really a go to compressor for everything!, just level the gain reduction and compare with raw sounds!...a world of difference!...and it's one of the cheapest on the UAD collection...a must have! Very good classical comp/lim at good price.